2 Beds 2 Baths 1,660 Sq. ft.
Now priced below market value!! 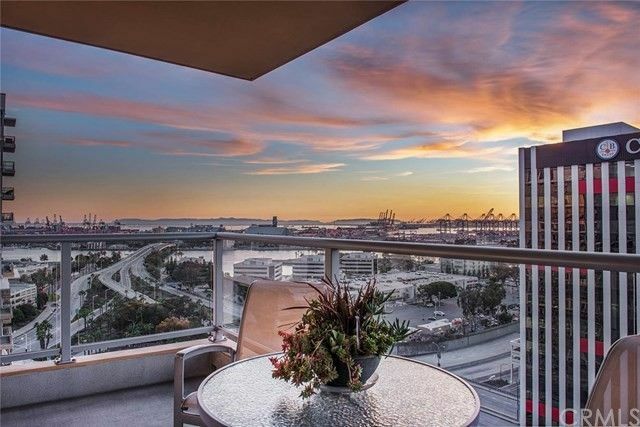 Come live in the newest Pinnacle of Downtown living in Long Beach along the famed Ocean Blvd. strip!This stunning residence is located in the ultra exclusive "West Ocean Towers" and offers 2 large bedrooms and 2 large balconies with floor to ceiling walls of windows to enjoy the views!There is plenty of outdoor space to enjoy the 270 degree+ panoramic views that include,Santa Monica,Downtown LA,mountains,Catalina Island,city lights,marina,stunning ocean views and gorgeous sunsets!Upgrades in this beautiful home include:granite kitchen w/full back splash,upgraded stainless gas appliances,gorgeous wood flooring,custom interior paint,custom window treatments,custom closet organizers, and more!This amazing modern complex offers:24hr concierge, 24 hr guard, pool, spa, gym, rec.room,business center,sauna,movie screening room,guest suite,on-site management,outdoor fireplace,BBQ area,yoga studio,billiards room,private wine storage,private guest suite and more!Nothing exemplifies the full service California coastal lifestyle more than West Ocean towers.Come enjoy Downtown Ocean Front living today and experience the shopping,dining & entertaining that this home has to offer just steps out its front door at The Pike,Aquarium,Pine Ave and more nearby!VA/FHA approved!